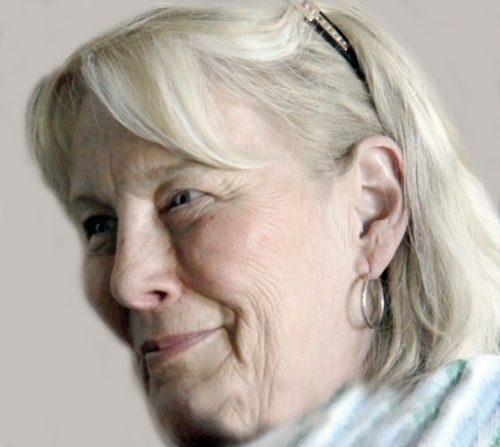 MaryLynne Stahl (nee McCracken), passed away unexpectedly, but peacefully, at her home in Cochrane, Alberta. MaryLynne was born, in 1945, to Jack and Margaret in Victoria B.C. and grew up in Calgary, often spending summers in Sylvan Lake. She graduated from William Aberhart High School, and then from the University of Calgary, with degrees in English and education. She worked as a mother to Allison and Andrew always, and as an educator sometimes, and was loved by her children and students alike. MaryLynne married Piney Stahl in 1973, and they were together, until his untimely death in 2010. That was the same year, happily, that MaryLynne discovered her true calling, as a grandmother. Madison Jan, and two years later Hayden Piney, daughter and son of Allison and Ryan Gilmour, filled MaryLynne’s remaining years with joy and satisfaction. MaryLynne was also a sister and companion to Catherine McCracken, and in each other’s company they travelled and shopped, and doted on kids and grandkids, and shopped some more. In MaryLynne’s care plants and pets thrived, especially the turtle Darwin, who was with the family for over thirty years. Darwin died within hours of Marylynne, and will accompany her beyond the infinite horizon. MaryLynne liked and appreciated everyone she met, and she will be missed dearly by everyone who met her. A service and reception, in remembrance and appreciation of MaryLynne, will be held at the Cochrane Legion, (114 – 5 Avenue West Cochrane, AB) on Sunday, January the twenty-first, at One o’clock in the afternoon. I am so sorry to hear of MaryLynne’s untimely passing. I loved seeing her at the golf course. She always met you with a big smile and then the conversation would begin. It seems we just said goodbye to Piney. I am so glad to hear her grandchildren were so special to her. She was also very proud of her kids Allison and Andrew and always had great things to tell me when asked of them. I will remember her always. I waved at her as she stood in the doorway saying goodbye to Catherine just before Christmas. It was dark and not sure she knew it was me, but, that is my last physical memory of her and it will stay with me. My thoughts and prayers are with you all. I am so sorry to hear about MaryLynne. As a childhood friend, we had many great times on 13 Ave. and 17 a St. I remember how exciting MaryLynne was that you finally came home from the hospital as you were so tiny when you were born. It seemed ages until we could see you. Our parents were friends too and I remember all of you coming to our cabin at Sylvan Lake and ultimately building your cabin. MaryLynne and I would rent horses for the summer and ride all over. The building of the duplex near the university was another fun project. Not to mention my dad and your dad building your garage, pouring cement sidewalks all over the neighbourhood. Our dads going to the cabin in the fall to close up the places. All happy memories. May all your happy memories wrap around your heart and stay there forever. I was so sorry to read the obituary today of MaryLynne who was a friend from school days at William Aberhart. We had many good times together and she was such a friendly, generous, kind and thoughtful person. Never one to say a negative thing about anyone, MaryLynne was the kind of friend who you never forget even though our paths have not passed since the University of Calgary days. My sympathies to her family! She was a lovely person and I am sure your memories will be the treasures you depend on during this sad time. I was heartbroken today hearing of Mary Lynne’s passing. She was a wonderful person, who was so kind and loving. Our deepest condolences to her family. She will be forever remembered. MaryLynne was the warmest, funniest, and when it was required – the sassiest! I had the privilege of working with her at Telus in the 90s. I’m so sorry for your loss. She was a wonderful human-being and an example for us all. Thinking you of you all as you are preparing to say goodbye to MaryLynne. I have such wonderful memories of her. She truly was a very special person. I am sorry that I won’t be there to say goodbye but know that we will be thinking of you all. Would you remember your Grade Two teacher from Ranchlands Community School, Andrew? I certainly remember you and for all good reasons!! Your Mom was so delightful and so devoted to both of you. It was always a pleasure to see her when she came to the school. I saw the obit when you kids lost your father and was very sad for you. Now this… there are no words… From my perspective… way too young for both. Know that I remember both of you fondly and am grieving with you.